Ustica is located off the northern coast of Sicily from Palermo and has spectacular scenery. The ancient volcanic island is a national marine park with black lava and clear waters. 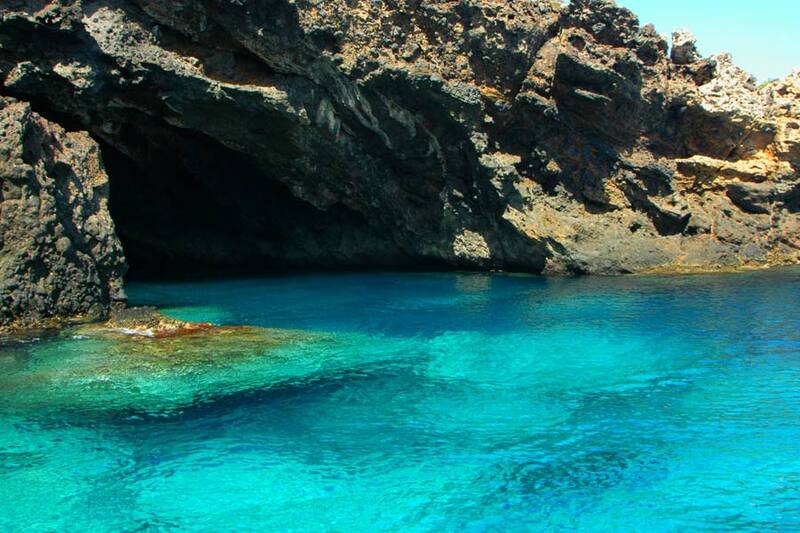 Ustica is particularly popular with divers for its ancient sunken city of Osteodes with all its treasures. The island is easy to get to so many tourists choose to travel to Ustica overnight enabling a full day for sightseeing. A good place to begin exploring the island is the prehistoric village of the "Faraglioni" a large village characterized by thick walls reinforced about one metre high and six metres. This wall Once enclosed a village of huts round or square rich in ceramics such as pottery cups trays tanks grinders and exhibits with clear references to the Mycenaean culture. The mighty walls built according to the construction techniques of Mycenae and Middle Bronze age are tangible proof of the State of insecurity in which Sicily found itself after the arrival of the mycenaeans. You can take a ferry or hydrofoil from Palermo to Ustica. The crossing takes about 2 hours and 30 minutes and just over 1 hour by hydrofoil. Do you want to travel with your family to get to Ustica? Do you like adventure and freedom and you want to reach the destination Ustica with your moto ?